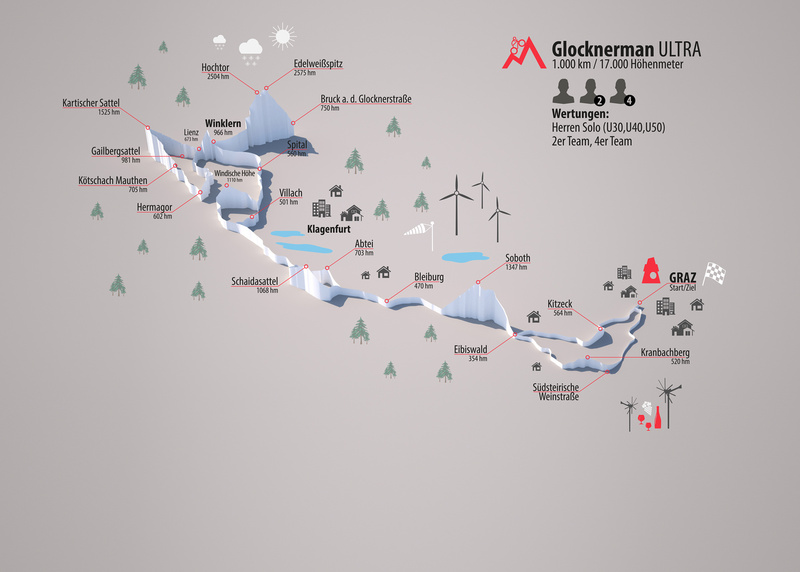 With 1000 km and 17.000 metres of altitude the Ultra route leads the athletes under 50 years of age and teams from Graz to Winklern, through the Lesachtal, twice on the Großglockner and back to Graz. Teams: There is one overall ranking independend if the athletes are male, mixed or female. Timestations are important places on the route, they are marked in the Roadbook and in the gps-files. At the timestation the passage time has to be reported to the race control. The kilometres of CityRadeln are not included.